Every now and then, we will attempt to write the worst sports column on earth. Today: Let’s talk about the guy who won’t talk. GLENDALE, ARIZONA—It’s not that hard. You play a kid’s game for a living, you get paid a bunch of money, you go on national TV and become famous forever. All the league asks in return is a little responsibility. If you won’t do it for the NFL, do for it the people who pay your salary. Let the world know what it’s like between the hashmarks. Can you do that, Marshawn? 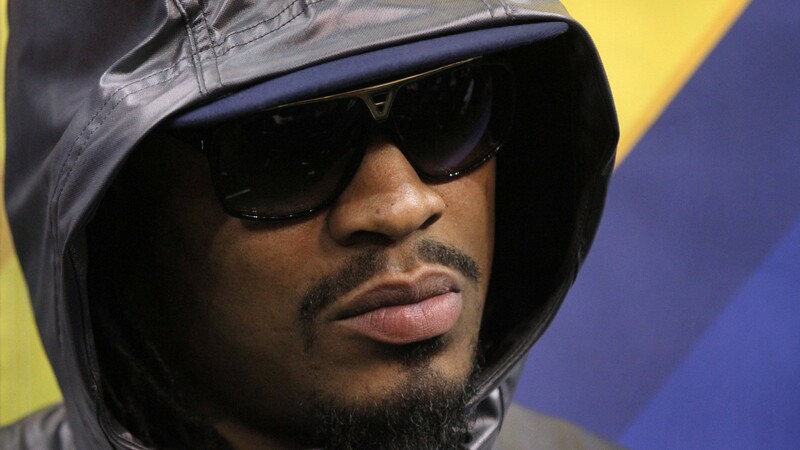 No, but, Marshawn, can you answer a few questions for us? What was it like rumbling to pay dirt last night? But, Marshawn, the Seahawks look pretty good right now. How far do you think this team can go? OK, Marshawn. Serious question here. Would you like to take this opportunity to thank the linemen who made your big touchdown possible? It’s right there in his contract: Talk to the media once a week and after every game. But some guys think only some rules apply. And people love this stuff. Every time Marshawn Lynch stiff-arms a hardworking reporter just trying to get a quote for his game story, there’s a whole army of Twitter followers ready to defend him. He shouldn’t have to say anything, they scream. He lets his play do the talking. The NFL rules are bogus. Players shouldn’t have to talk if they don’t want to. Some say the definition of insanity is doing the same thing over and over again and expecting different results. But to me, it’s watching a millionaire athlete get celebrated all over the web for not doing his job. It’s not a big deal in the grand scheme of things. I know. I won’t pretend a reporter’s game story is a matter of life and death. But it’s all indicative of a larger problem looming on the horizon. As Marshawn Lynch flies into the end zone grabbing his crotch, with millions watching on national TV, we’re seeing what it looks like when a league loses its leadership. 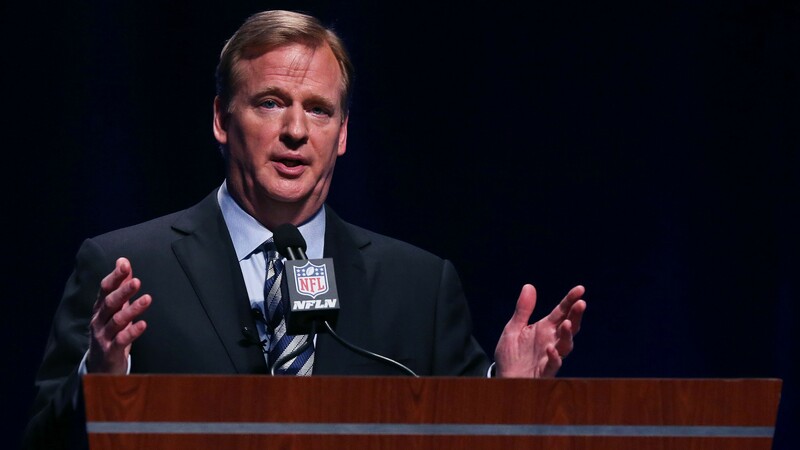 Roger Goodell is the king who had his sword taken away this year. Now we’re seeing what happens to the shield. A year ago, Goodell would’ve pounced on Lynch in a situation like this, but now Goodell has been declawed by a media that was out for blood from day one. The media’s had Goodell in the crosshairs all year, and whether you agree with that or not, the game has gotten caught in the crossfire. That part isn’t a debate. I don’t need an elevator tape to tell you that Lynch has been disrespecting the game and dishonoring his teammates for weeks. He signed a contract that requires him to speak to the media every week, and suddenly that doesn’t matter anymore. It’s like August all over again. When does it end? Where do we go from here? If the inmates are running the asylum, how long until we all go nuts? It’s not much different anywhere else. Look at the Giants. Odell Beckham Jr. became a viral sensation before Thanksgiving, and by Christmas, he’s turning every touchdown into a Dancing With the Stars audition. This is what happens when a ship loses its way. A first mate like Tom Coughlin can do only so much to fight off the storm. The mainstream media got what it wanted, and now the whole country is stuck watching a game we never asked for. Crotch grabs and celebration penalties and one-word answers. What an example. Without law and order, you get a whole bunch of guys who won’t follow orders. That’s what we see with every new Marshawn Lynch stunt. For me personally, the sad irony of this situation is that every time Lynch doesn’t talk, he makes himself a much bigger story than all the teammates who do the right thing. We’re not writing columns about Russell Wilson today, are we? No, not only does he refuse to credit his linemen, his coaches, and his defense, but Marshawn also grabs the spotlight and dominates it himself. And the one guy who can stop this is stuck in the shadows. The lion has been caged by a rabid media. The captain has been quartered below deck by a bunch of click pirates. A proud man is watching his proud game dragged to nowhere. Can you imagine a whole league full of Marshawn Lynches ignoring the press and grabbing their crotches like a bad music video? Don’t fans deserve better from their favorite players? Isn’t this why the National Football League has rules? Is playing in this league a privilege or a right? Somewhere, I know one man who’s just dying to answer.